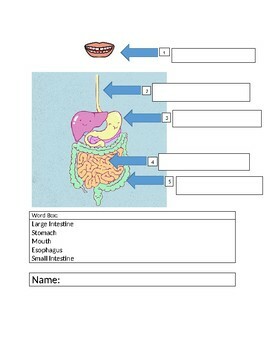 This is a check for understanding for the digestive system. How I used it in my classroom is that I gave the students a chance to work on it with partners and then individually. I gave them 3 minutes for each round. A word bank is provided for them to refer back to.